Hao Wu, Ph.D., received her pre-medical training at Peking University from 1982 to 1985 and studied Medicine at Peking Union Medical College from 1985 to 1988. She obtained her Ph.D. degree in Biochemistry from Purdue University in 1992, working in the laboratory of Professor Michael Rossmann. After performing postdoctoral training at Columbia University in the laboratory of Professor Wayne Hendrickson, she became an Assistant Professor at Weill Cornell Medical College in 1997 and was promoted to Professor in 2003. In 2012, Dr. Wu moved to Harvard Medical School as the Asa and Patricia Springer Professor of Pediatrics and of Biological Chemistry and Molecular Pharmacology, and as the Senior Investigator in the Program in Cellular and Molecular Medicine of Boston Children’s Hospital. Dr. Wu has received a number of honors, including the Howard Hughes Medical Institute pre-doctoral fellowship, the Aaron Diamond postdoctoral fellowship, the Pew Scholar award, the Rita Allen Scholar award, New York Mayor’s Award for Excellence in Science and Technology, the Margaret Dayhoff Memorial Award from the Biophysical Society, and Purdue University Distinguished Science Alumni Award. She serves on the Scientific Advisory Council of the Cancer Research Institute and the Editorial Board of Cancer Cell, and is an elected member of the US National Academy of Sciences. Vice President of Physiological Chemistry at Genentech, Inc. has made many contributions to biomedicine and his early work on apoptosis is prominent in introductory textbooks of biology and medicine [for a historical perspective see Nature (2008, 453:271-273) and Nature Cell Biology (2010, 12:415)]. He is a member of the National Academy of Sciences, the National Academy of Medicine, the American Academy of Arts and Sciences and a Foreign Member, European Molecular Biology Organization. Additionally, he serves on the Boards of the Gates Foundation, Howard Hughes Medical Institute and Keystone Symposia. Gail Bishop, PhD is the Holden Chair in Cancer Biology and Distinguished Professor of Microbiology and Immunology at The University of Iowa, where she is Director of the Center for Immunology and Associate Director for Basic Science Research of the Holden Comprehensive Cancer Center. She earned the PhD degree from the University of Michigan, Ann Arbor, and performed postdoctoral research at The University of North Carolina, Chapel Hill. Dr. Bishop served as President of the American Association of Immunologists, 2012-2013. Her laboratory studies molecular mechanisms of lymphocyte activation by members of the TNFR Superfamily, and has a particular current focus upon how TRAF3 regulates lymphocyte functions. Francis Ka-Ming Chan, PhD, is a Professor at the Duke University School of Medicine in North Carolina, USA. He obtained a B.S. degree from the University of California, San Diego, and a Ph.D. from the University of California, Berkeley, USA, followed by postdoctoral training in the laboratory of Dr. Michael Lenardo at the National Institutes of Health to investigate the signaling mechanisms of TNF receptor superfamily. Since starting his own research group in 2002, his lab has worked on diverse topics related to TNF signaling in auto-inflammatory and viral diseases. Michael Croft, PhD, is Professor and Head of the Division of Immune Regulation at the La Jolla Institute for Immunology (LJI) in San Diego, California, USA. He received a B.S. degree from Brunel University, U.K, and a Ph.D. from the University of Sussex, U.K, followed by postdoctoral training in the laboratory of Dr. Susan Swain at the University of California, San Diego. Professor Croft’s research has centered on several stimulatory proteins in the TNFR family, including OX40, 4-1BB, CD27, and CD30, with a primary goal of understanding how these molecules control T cell immunity and contribute to the balance between effector T cells and regulatory T cells that are important for tolerance. He has pursued the role of these molecules in several autoimmune and inflammatory diseases, with a particular focus on asthma and lung inflammation, as well as how they control anti-viral T cells. More recently, he has studied the activity of other TNF family proteins including LIGHT and TWEAK in non-hematopoietic structural cells relevant to chronic tissue damage and fibrosis. Jen received her Ph.D. (Immunology) at the University of Toronto in 1998. She went on to do a post-doctoral fellowship at Harvard Medical School studying the complement pathway and then joined Biogen Inc. as a Staff Scientist in 2000. During her tenure at Biogen, she became interested in B cells, Multiple Sclerosis and the TNF superfamily of molecules. After 3 years in Industry, she returned to Academia as an Assistant Professor (Immunology) at the University of Toronto in 2003, and in 2015 was promoted to full Professor. Jen's basic research continues to focus on how members of the TNF superfamily of molecules regulate immunity and autoimmunity. With respect to translational work, Dr. Gommerman has been examining the role of B lymphocytes in Multiple Sclerosis patients, and she is the lead PI on a study examining the effect of global migration on susceptibility to autoimmune disease. 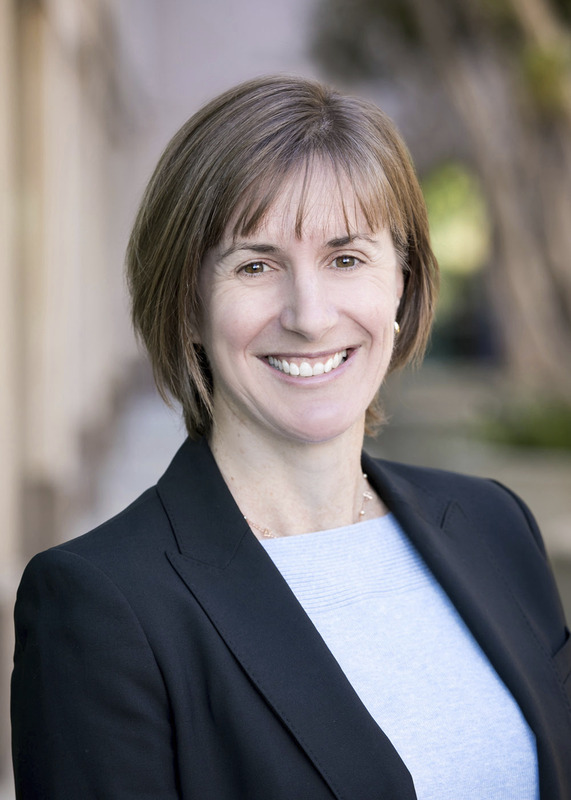 Jane Grogan is a Head of Adaptive Tumor Immunity and Principal Scientist in Cancer Immunology Discovery Research at Genentech. Her research focuses predominantly on mechanisms of T cell activation, tolerance-induction and epigenetic modifiers, using integrative approaches, combining bioinformatics, biology and diagnostics. Her lab has identified key regulators of effector and regulatory T cells, and has moved multiple targets into clinical development for Autoimmune and Oncology indications: including anti-lymphotoxin in rheumatoid arthritis; and anti-TIGIT for cancer immunotherapy. Her current roles include liaisons across Early Discovery Research, Clinical Development and Business Development. Jane trained at the University of Melbourne, Australia, completed her PhD in Leiden University, The Netherlands, and her post-doctoral training as an Alexander von Humboldt Fellow at the DRFZ in Berlin, and as a Howard Hughes Fellow at the University of California San Francisco. She is on the Advisory Board of Sustainable Science Institute – a non-profit organization that supports scientists and public health communities in resource-poor settings. She also hosts the biweekly podcast series “Two Scientists Walk into a Bar”. Seamus Martin is the Smurfit Chair of Molecular Genetics (since 1999) at The Smurfit Institute of Genetics, Trinity College Dublin, Ireland. He is a PhD graduate of the National University of Ireland and was a post-doc with Ivan Roitt at University College London, and then with Doug Green at La Jolla, California. His lab is interested in the interplay between signals for cell death and inflammation. We are currently interested in how IL-1 family cytokines become processed, activated and released and the role of the latter cytokines as canonical DAMPs. We are also interested in when and how Fas and TRAIL promote inflammation and how cell stress-induced inflammation is initiated. Fabienne Mackay, PhD FAHMS, is a Professor and Inaugural Head, School of Biomedical Sciences, Faculty of Medicine, Dentistry and Health Sciences at the University of Melbourne, Melbourne, Australia. her PhD from Louis Pasteur University, Strasbourg, France. Her laboratory helped the BAFF inhibitor approved by the FDA in 2011: first new treatment for lupus in over 50 years. first new treatment for lupus in over 50 years. Prof Mackay’s group is focusing on inhibitors for the BAFF receptor TACI to treat Systemic Lupus Erythematosus and Chronic Lymphocytic Leukaemia without compromising key immune function and, therefore, an approach that has a better safety profile. Her research and teaching directly influence clinical practice and continues to make internationally significant contributions to the field of autoimmunity and oncology, with a strong record of knowledge translation and community engagement. Sergei Nedospasov, Ph.D., D.Sci. 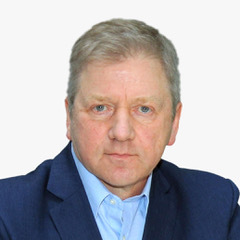 is the head of the Laboratory of Molecular Mechanisms of Immunity at the Engelhardt Institute of Molecular Biology, Russian Academy of Sciences and also Professor and Chairman of the Department of Immunology, Lomonosov Moscow State University. He received his M.S. in Biophysics from Moscow Institute of Physics and Technology and both Ph.D. and D.Sci. degrees from the Engelhardt Institute. He led research groups at the National Cancer Institute (Frederick, MD) and at German Rheumatology Research Center (Berlin). His laboratory is studying physiological functions of cytokines, in particular TNF and lymphotoxin, using engineered mouse models and is looking for more specific ways of therapeutic cytokine inhibition. Sergei participated in all 17 TNF conferences from 1987 to 2019. Kim Newton, PhD, is a senior scientist at Genentech in South San Francisco, California. She obtained BSc and MSc degrees from the University of Auckland, New Zealand and a PhD from the University of Melbourne, Australia. She completed postdoctoral training in the laboratory of Vishva M. Dixit at Genentech. Kim’s group investigates the signaling mechanisms unleashing proinflammatory cell death programs that may exacerbate a range of inflammatory diseases. I received my Ph.D. in 1999 from the Immunology program at Washington University School of Medicine in St. Louis. In 2001, I joined the Department of Immunology at Genentech as a scientist. I had grown my rank through senior scientist, principal scientist, and staff scientist during the 14 years I stayed at Genentech. I had also become a group leader since 2004 and provided guidance to several other scientists for their drug developmental projects, scientific research and career development. My own research at Genentech was centered on T cell and cytokine biology in various autoimmune diseases. During the years my lab and other scientists in the group had advanced numerous therapies related to autoimmunity and cancer immunotherapy into clinical trials. Since 2015 I have joined the Department of Inflammation and Oncology, Amgen as an Executive Director. I am leading a group of scientists to develop innovative treatments in the areas of autoimmune diseases and cancer immunotherapies. Currently, my own research interests are focused on immunology, single cell technologies and human genetics. Manolis Pasparakis received his bachelor’s and Ph.D. degrees in biology from the University of Athens, Greece. After postdoctoral training in the Institute for Genetics of the University of Cologne he started his independent research as a group leader at the Mouse Biology Programme of EMBL in Monterotondo, Italy. He became a faculty member at the Institute for Genetics of the University of Cologne in 2005, where he works since then. His research aims to understand the mechanisms regulating inflammation and the pathogenesis of inflammatory diseases and cancer. Topics of particular interest in the Pasparakis’ lab include TNF receptor signaling and biology, the IKK/NF-kB pathway and its function in tissue homeostasis and disease, as well as RIP kinases and their role in cell death and inflammation. Pascal Schneider is senior lecturer and researcher at the Department of Biochemistry of the University of Lausanne, Switzerland. He obtained a PhD there and performed post-docs at the University of Dundee, Scotland, and at the University of Lausanne. Ligands and receptors of the TNF family, in particular BAFF, APRIL and EDA, are his major research interests, with a focus on biochemical aspects of their functions.Pascal Schneider is senior lecturer and researcher at the Department of Biochemistry of the University of Lausanne, Switzerland. He obtained a PhD there and performed post-docs at the University of Dundee, Scotland, and at the University of Lausanne. Ligands and receptors of the TNF family, in particular BAFF, APRIL and EDA, are his major research interests, with a focus on biochemical aspects of their functions. Richard Siegel, MD, PhD is Global Head, Translational Medicine Discovery and Profiling for the Autoimmunity, Transplantation and Inflammation disease area in the Novartis Institutes of Biomedical Research. Richard joined Novartis in 2018 after 20 years at NIH where he was most recently Chief of the Autoimmunity Branch overseeing multiple research laboratories conducting basic and translational research in cytokine biology focused on the TNF receptors Fas, TNFR1 and DR3. Since 2010 he was also Clinical Director of the National Institute of Arthritis and Musculoskeletal and Skin Diseases, overseeing the clinical activities and research program that encompasses interventional and natural history studies of mendelian autoimmune and inflammatory syndromes and more common rheumatologic and dermatologic diseases. Richard obtained his bachelor’s degree at Yale, his MD, PhD at the University of Pennsylvania School of Medicine and then trained in Internal Medicine and Rheumatology at the Hospital of the University of Pennsylvania. Maintaining a presence in in laboratory research, Richard also co-leads the Translational Research group in the ATI division of NIBR, and is committed to bridging the gap between laboratory and clinical research to discover and improve treatment for patients with autoimmune and inflammatory disease. John completed a law degree in King's College, London, before seeing the error of his ways and obtaining a second degree in Biochemistry at Churchill College, Cambridge (1992). He completed a PhD in Zürich, Switzerland, with Prof. Walter Schaffner (1997). A Swiss fellowship allowed John to do a post-doc with Prof. David Vaux in the WEHI, Australia (1997-2005), where he focused on Inhibitor of APoptosis (IAPs) proteins. As these proteins regulate signalling by the TNF superfamily this led to his consuming fascination with all things TNF and his lab explores the role of these signalling pathways in inflammation, immunity and cancer. Bob is a Project Director and Research Fellow at AbbVie in Immunology Discovery responsible for advancing early discovery projects to clinical testing. He obtained a Bachelor of Science degree in Biochemistry from the University of Scranton and a PhD in Chemistry from The Pennsylvania State University. Bob also did his post-doctoral training at Duke University Medical Center with Bob Lefkowitz studying G-protein coupled receptor biology. He has been at AbbVie for 13 years focused on advancing Immunology targets to clinical testing. His teams have advanced both small and large molecules into clinical testing. Current area of research focus is in Immunology Antibody Drug Conjugates (iADCs). Prior to joining AbbVie, Bob was at Bristol Myers-Squibb for seven years where he was responsible for leading groups in assay development, high-throughput screening and SAR support. Areas of expertise include drug discovery, receptor pharmacology, GPCR signal transduction, nuclear hormone signaling, TNF biology, cellular assay design and cell culture. 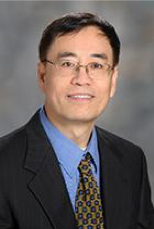 Dr. Shao-Cong Sun is a professor and Deputy Chair in the Department of Immunology and holder of the Moshe Talpaz Endowed Chair in Immunology at The University of Texas MD Anderson Cancer Center. He received a Ph.D. degree from Stockholm University and pursued postdoctoral training at The Gladstone Institute of Virology and Immunology, University of California at San Francisco. His laboratory studies signal transduction in immune and inflammatory responses, with a focus on ubiquitin-dependent signaling and the NF-kB pathways. Domagoj Vucic, PhD, is a Principal Scientist at Genentech in South San Francisco, USA. He obtained B.S. from the University of Zagreb, Croatia, and Ph.D. from the University of Georgia, USA. He completed postdoctoral training in the laboratory of Dr. Vishva Dixit. Domagoj’s laboratory investigates the biological role of modulators of signaling pathways mediated by ubiquitination, and their involvement in cellular processes triggered by TNF family ligands and other pro-inflammatory stimuli. At Genentech, he leads an effort to develop compounds that target select kinases and ubiquitin ligases for blocking uncontrolled inflammatory responses and/or enhancement of the survival of damaged cells and tissues. Henning Walczak’s scientific curiosity is centred around the understanding of the biology of cell death and inflammation and how this pertains to diseases such as cancer and inflammatory disorders, including chronic inflammatory, auto-immune and neurodegenerative diseases. Henning’s research is focused on unravelling the mechanisms how different death receptor-ligand systems are regulated and how this impacts human disease. Henning obtained an M.Sc. in 1992 and a Ph.D. in 1995 from the University of Bielefeld, both for respective thesis work carried out at the German Cancer Research Centre (DKFZ) in Heidelberg. In 1996 he joined Immunex Corporation in Seattle (WA, USA) as a postdoctoral scientist before returning to the DKFZ in 1998 where he became independent group leader in 2000. In 2007, Henning Walczak was appointed Chair of Tumour Immunology at Imperial College London. In 2013 he joined University College London (UCL). At UCL he chairs the Cancer Biology Department of the UCL Cancer Institute and serves as Scientific Director of the Cancer Research UK – UCL Centre. David Wallach did his M.Sc. and doctoral studies at the department of Biological Chemistry, The Hebrew University of Jerusalem, Israel, and his post-doctoral training in the laboratory of Dr. Ira Pastan at the National Cancer Institute, Bethesda, Maryland, USA. He is currently a professor at the Weizmann Institute of Science, Rehovot, Israel. David and his colleagues explore the signaling mechanisms activated by cytokines of the TNF superfamily. They contributed to the isolation of TNF, to the isolation and cloning of the soluble and cell surface forms of the two TNF receptors and to deciphering the extrinsic apoptotic cell-death pathway, to cloning its major components (FADD/MORT1, caspase-8/MACH and cFLIP/CASH) and to defining their structural motifs (death domain, death-effector domain). They were also the first to clone several of the signaling proteins that mediate effects of the TNF family on the NF-kB transcription factors, including the protein kinase NIK that initiates the alternative NF-kB pathway, the scaffold protein NEMO that plays a critical role in the canonical NF-kB pathway and the deubiquitinase CYLD. They continuously explore further the signaling mechanisms activated by the TNF-family and their physiological functions. Carl F. Ware, PhD is Professor and Director of the Infectious and Inflammatory Disease Center at Sanford Burnham Prebys Medical Discovery Institute in San Diego, CA. He received the PhD in Molecular Biology and Biochemistry from the University of California, Irvine and postdoctoral training at the University of Texas and Harvard Medical School. Dr. Ware is recognized for his discoveries of several members of the TNF Super Family including Lymphotoxin-a/b and the LTb receptor, LIGHT and the HVEM-BTLA-CD160 checkpoint. In addition, his work has contributed to elucidating tactics of viral evasion of the TNF Superfamily. Dr. Ware’s laboratory is actively engaged in developing therapeutics targeting the TNF Network for use in treatment of cancer, autoimmune and persistent infectious diseases (www.sbpdiscovery.org). Tania Watts, Ph.D, is a Professor of Immunology, at the University of Toronto, Canada. She obtained her B.Sc. and Ph.D. degrees at the University of Alberta, Edmonton, followed by post-doctoral training at Stanford University. Tania’s laboratory investigates the role of TNFR superfamily members, particularly 4-1BB and GITR on T cells in control of viral infection and immunological memory. Her lab is also interested in the role of TRAF1 in human diseases, including inflammation and cancer. Junying Yuan received her Ph.D. in Neuroscience from Harvard University in 1989 and her undergraduate degree from Fudan University, Shanghai, China, in 1982. Dr. Yuan carried out her Ph.D. thesis work at the Massachusetts Institute of Technology in the laboratory of H. R. Horvitz. She was first appointed as Assistant Professor at Harvard Medical School in 1992 and was appointed a Professor of Cell Biology at Harvard Medical School in 2000. In 2014, Dr. Yuan was appointed as Elizabeth D. Hay Professor of Cell Biology, a Professorship honors the late Professor Elizabeth D. Hay, the first female full professor in the history of Harvard Medical School. Dr. Yuan’s research focuses on the mechanisms of cell death, including apoptosis and necroptosis, and the role and mechanism of RIPK1 in mediating TNF signaling and promoting apoptosis and necroptosis.